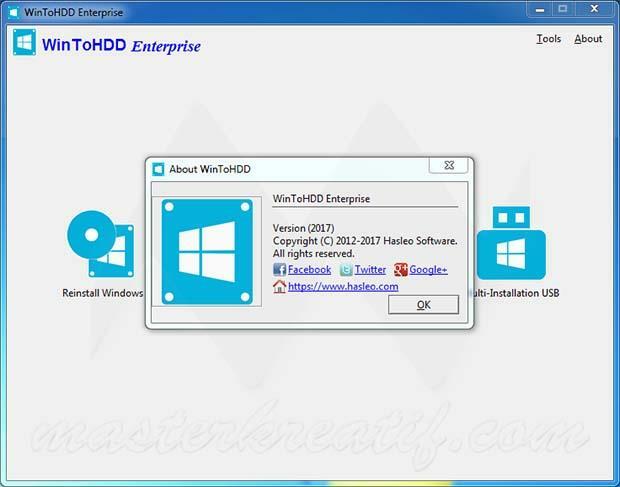 WinToHDD is an easy-to-use application that allows you to install, reinstall, and clone your currnet installed Windows without a CD / DVD or USB drive. This is an easy solution to install Windows on a device that does not have an optical drive or even when you do not have a flash drive. WinToHDD Enterprise intelligently save the Windows installer to the hard drive, using Windows Preinstallation Environment technology (WinPE) to replace MS-DOS boot disks. With it, you will be easily reinstall Windows, install windows to a different hard drive, as well as cloning current Windows installation. Never update, block the program in your firewall! min, snext posting, mohon diupload di Google drive min. download disana lebih cepat soalnya.